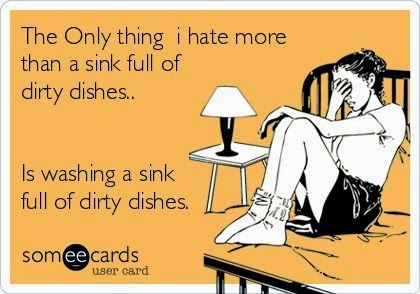 The other thing I hate about dishes, is that as much as I hate doing them, I hate when they’re NOT done even more! There’s nothing that gets me in a bad mood faster than waking up to a sink full of dirty dishes, or wanting to bake something tasty and realizing all the tools I would need are lying unwashed in the sink. Ugh. The. Worst. Ever. So how do we conquer the never-ending battle of the dishes? It’s a very necessary chore, but doesn’t always get done- and let’s be honest, we don’t always want to do! I think the biggest tool in beating the battle is realizing that there’s no better time to do them than now!! There are so many nights that I am so tempted to just save the dishes for the next day- because after chasing 3 tiny children all day and making a big meal, my energy resources are pretty much depleted. But as I said- that just sets me up to have a rough morning the next day, and remembering that helps me to gear up the last bit of energy I have to get them done ;). Making sure you’re rinsing dishes the whole day will be a HUGE factor in how long your dishes will take you later that night! If you have to rinse a bunch of hardened food off your breakfast dishes, it will add so much more time to your dishes task- whereas if you rinse your dishes the minute you set them in the sink, even if you don’t put them in the dishwasher, you’ll easily cut that time in half, if not more. Be smart about how you wash the dishes! If you have a casserole pan with burnt food caked all over it, or a saucepan loaded with sticky caramel bits, fill those with hot soapy water at the very beginning so they can be soaking as you rinse the other dishes- you’ll save yourself a lot of time AND elbow grease. Also, as you go through the day, see how you can reduce the messy dishes you create! Re-use the bowl you just used to heat up peas to eat your soup. When baking cookies, don’t throw a measuring cup/spoon in the sink until you know you don’t need it anymore. Just making simple choices like this can really save yourself a lot of dishes later! And don’t be afraid to invest in a high quality scrubbing brush! I have a cleaning brush I purchased through Pampered Chef, and it makes such a difference when scrubbing dishes compared to using a regular sponge! The bristles are strong and great for scrubbing, and there is a hard edge that helps a ton with food that’s really caked on! A good scrubbing brush is totally worth every penny. 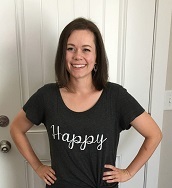 My final thought- make it fun! Music just makes everything more fun, doesn’t? Keep a CD player in the kitchen (or just bring along your phone ;) ) and play your favorite tunes while you scrub away- the time will fly by much faster! And don’t forget to grab your spouse ;). Doing the dishes with someone not only helps it go faster, but makes it more fun! (Just be careful of any ensuing water fights!!) And don’t hesitate to reward yourself- if you’ve just done a whole sink load of dishes, sit down and read a good book- you totally deserve it :). Dishes may not be the funnest chore in the world, but staying on top of it makes all the difference in your kitchen, and your attitude! 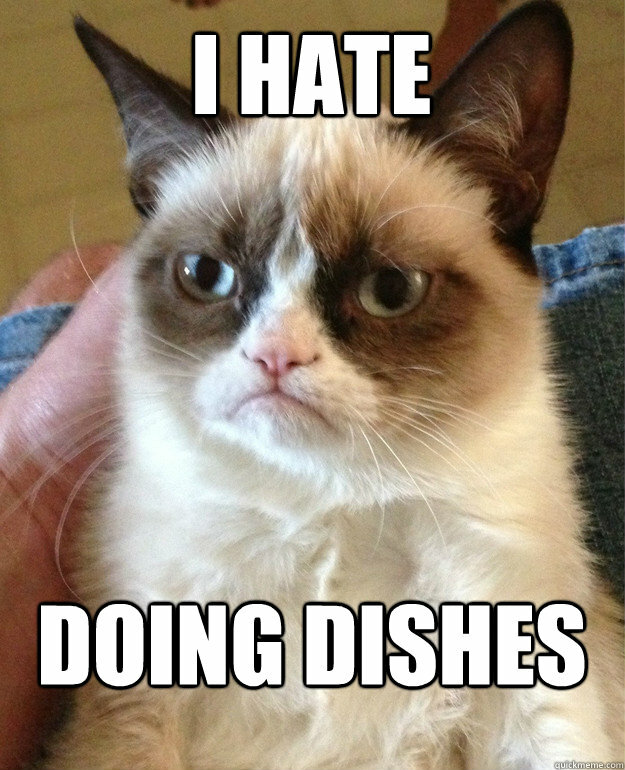 Do you have any tips for reluctant dish-doers? Share in the comments below!